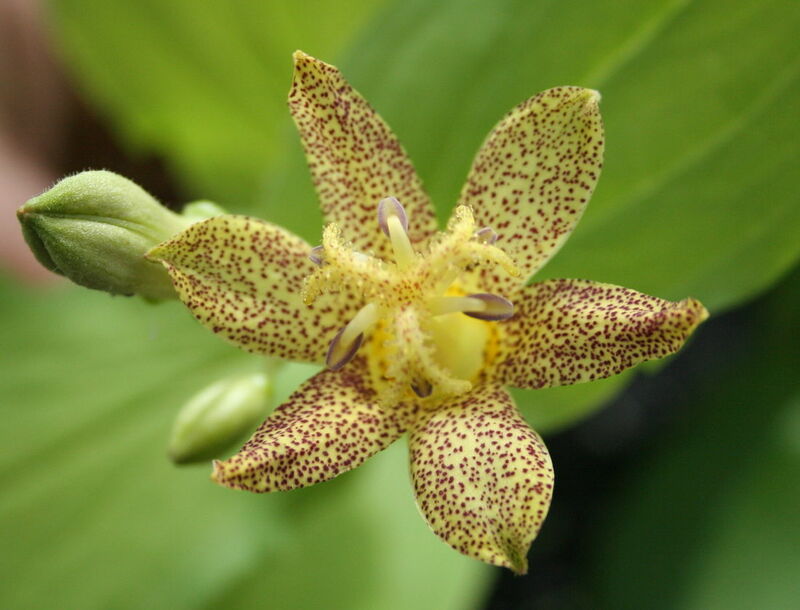 These members of the convallariaceae family are rhizomatus perennials from the woodland areas of China, Japan and Himalayas with numerous cup-shaped lily-like blooms per stem.They are commonly known as ‘Toad Lilies’ in reference to the blotches on the leaves. Or ….. the fairytale borne in the Phillipines during the 1970’s suggesting that the plants juices rubbed on your hands attracted or made it easier to catch frogs, a delicacy and source of high protein as a hoax and money making deception! Ideal for a semi-shaded spot in the garden with protection from hot afternoon sun. They benefit from a weekly water during their growing season. Remove old foliage during Winter and top dress with a complete fertiliser.